As a little girl, Pam Wideman ’06 MPA spent hours assembling jigsaw puzzles. She loved watching the full picture emerge from all the little pieces. Now, as director of Housing and Neighborhood Services for the city of Charlotte, Wideman is tackling her most challenging puzzle yet: Charlotte’s affordable housing crisis. In 2014, a national study ranked Charlotte last among the 50 largest U.S. cities in economic mobility, citing family instability and affordable housing as central factors. While the study shined a spotlight on the city’s affordable housing issue and others, Wideman recognized an opportunity to leverage public awareness to make a difference. Wideman’s childhood seemed to provide the perfect foundation for her career aspirations. She was raised by altruistic parents who instilled in her the value of helping others. As Wideman embarked on a career in public service, she drew inspiration from the activist Marian Wright Edelman, whose teachings about service and approach to social justice resonated. While Wideman strives to help improve the lives of Charlotteans, she finds herself reflecting on her own good fortune. “My education has opened so many doors for me,” she said. “Working in the public sector, I knew I’d need a graduate degree to earn a seat at the table and begin to make a difference. “UNC Charlotte’s MPA program gave me confidence to know that I belonged at that table. It’s one of the best decisions I’ve made,” she added. Wideman credits her education as integral to her success and upward mobility. She feels a responsibility to ‘pay it forward’ for the next generation. As the city grapples with its affordable housing crisis, Charlotte continues to rank among the fastest-growing cities in the nation, a factor that accelerates the need to address the problem. Voters recently passed a $50 million affordable housing bond aimed at doing so. While the recent bond decision gives Wideman hope, she acknowledges that solving Charlotte’s affordable housing dilemma requires continued community engagement as well as a larger financial commitment moving forward, especially as the city continues to grow. Many large corporations and nonprofits have begun to step up with substantial financial investments, providing additional pieces of the larger puzzle. 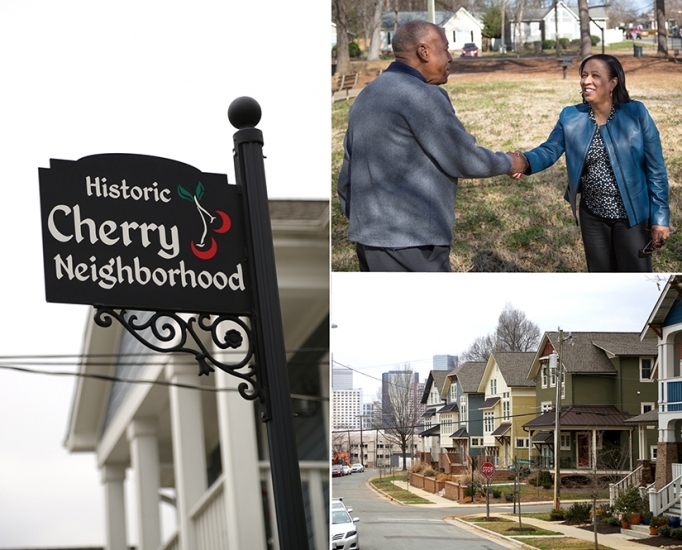 Meanwhile, Wideman will continue her work in bringing together members of the community, nonprofits, corporations and others who are committed to piecing together a complex solution to affordable housing in Charlotte.